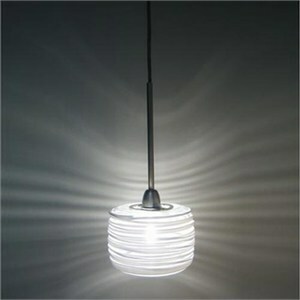 Pendant light with dramatic handblown glass "threads" fused to the body. Made in Italy. Design: Paolo Crepax. Dimensions: 5"W X 3"+55"H. Uses 40W 120V G9 (G9 Wedge Based Halogen) bulb.